You are Little Mac, a 17 year-old rookie fighter straight out of the Bronx. What you lack in size you more than make up for in determination. Spurred on by your trainer, Doc Louis, it's time to take on the world's boxing best! Punch-Out!! Featuring Mr. Dream is a comical boxing game that pits your pint-sized pugilist against such rivals as the fragile-jawed Frenchman Glass Joe, punch-drunk Russian Soda Popinski and the mysterious title-holder Mr. Dream. Use all the moves at your disposal – jabs, body blows, hooks and uppercuts – to discover your opponent's weak spot and make the deciding blow. Also, look out for an appearance by Mario as the referee! 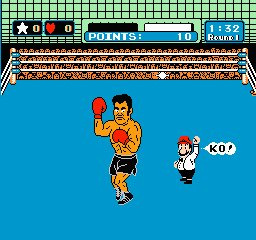 Will this be the Mike Tyson Punch Out or the version they released AFTER Tyson went to prison with Mr. Fantastic or whatever his name was? This will 99.9% not be the version that features Iron Mike - What a shame! Ohhhhhhh, I think I will wait for Super Punch-Out. 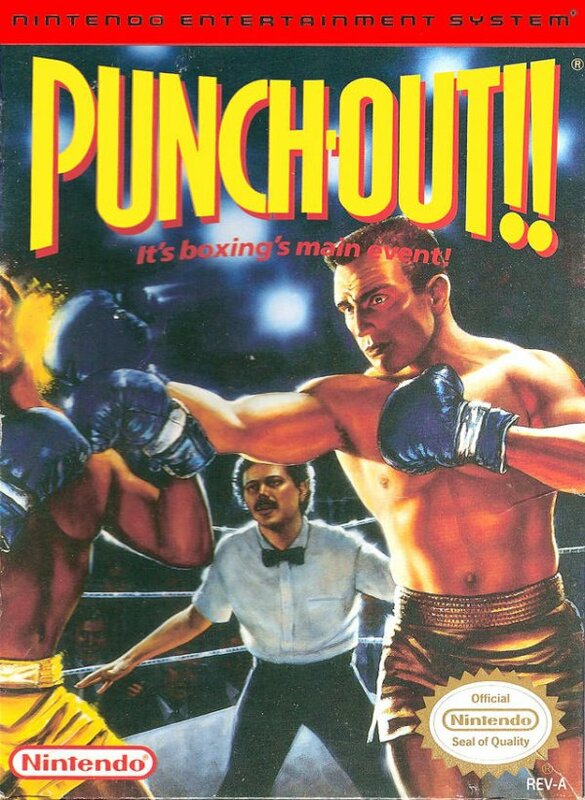 I mean, this game is great and all, but in my opinion Super Punch-Out was far superior. That game showed what the SNES could do. 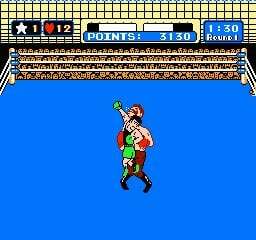 NOT saying that Punch-Out was a bad example of NES power. But on top of all of that, I really don't want to waste points on both. Here is hoping Super Punch-Out is not far away! what a classic, this game has the pick up and play factor that us people who have to work during the day want,10/10! 10/10, seems to be pal optimized too, runs smoothly. with only small ish boarders. If you want Super Punch Out, just buy Fight Night Round 2 for Gamecube. @Dan H: Actually, I grew up playing NTSC Famicom/Super FC games (as I was born in the PH). So I'm used to the NTSC Punch-Out. I'm now living in Europe (working here in DE). So now I'm dealing with a PAL Wii. In any case, if other PAL users are happy with it too, I think I can get used to the speed (if it is different). i never played this game back in the day. I downloaded it and it rules! My new fav on VC. Now i need to try and work out how to KO that tiger dude. @reekon, Done him mate! many thanks! If you like Super Punch Out you can get it running on the Wii right now. Just buy Fight Night Round 2 for the Gamecube and the full game is included. This was compensation for GC owners as the game had no online play. Little Mac is also in Fight Night Round 2 so I recommend getting this instead as you get SPO and a good modern boxing game to go with it. Doc Stole Little Mac's bike! This game is pure gold. I never owned the original for NES, but have spent countless hours on it in Animal Crossing for GC. This game is a must have, do yourself a favor and hit it with a download. You'll thank me later when your busting some 8-bit face in. Let's not forget the code to get right to Mr. Dream (or Mike Tyson)... 007-373-5963. I bought downloaded this along with Wonder Boy in Monster World and Star Fox 64 today (April 23) and this is the only one that is below average in my opinion. I should basically steer clear of NES titles (except for the Mario, Zelda, Metroid, Mega Man, Castlevania, and Duck Hunt series ) I use a lot. Also, my newest Wii Points total is 0! Are you kidding me? Punch-Out!! is a classic. You must not understand it's strategic element or something. Either that, or you're a douche. This is my favorite NES game. This is saying a great deal since I've played about 200 of them. Brilliant. Graphics, gameplay, music, and challenge make it #1. It gets an easy 5/5. One of the few NES games that I still own the original of. The reason? This game is, without doubt, the best boxing game EVER made - simply because there are no stupid combos or annoying character creation screens to fight through - just simple boxing. If you haven't got it, I ask: WHY NOT?! I'm of the minority opinion that this game isn't all its cracked up to be. To me, it's just a glamorized version of a really hard shoot 'em up. I can understand why others love it, but pattern memorization just bores me. I like the game alot... only complaint is that, the D-pad on either the wiimote or the classic controller is alittle small and it is frustrating when it registers a dodge instead of a block. Classic game - I remember playing this in a local Dept store where they had a Nintendo set up with 8 games in you culd select the game and you got 5/10 minutes to play said game - loved it from the start - its still great cartoony graphics have aged pretty well - its only the sound that dates it in my opinion - shame its not the Tyson version but great fun all round....a must for all retro gamers old and new. one of the best NES-games ever beside "bionic commando"! download it! nintendo did everything right and made the best boxing-game until now! i'm not interested in boxing in any other way, but i love this game! only one thing i don't understand: they replaced the last boxer, mike tyson himself, with somebody called mr. dream?!? ok, try to reach a 14-0 KO record...i did it! much fun!!! This game really has aged well. Playing it is so much fun. The only problem being it is a tad short, even tough it has great replay value. Mr. Dream is insanely difficult, still haven't managed to beat him even if I can easily beat everyone else. This game was the first VC game I dl'd. This game was the heat, it is the heat, and it will always be the heat. If you have never played it, do so! If you are one of those graphics doods who can't stand looking at 8-bit pixels, get over it! Arguably, this title is a top 3 download on the Virtual Console, to date. Guys how do you activate the Knock out punch..... all this jabbing the guys to a TKO is no fun.! 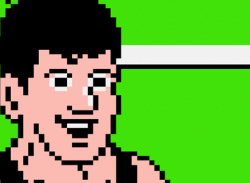 Little Mac will be an Assist Trophy in Brawl. I I kow how you feel after downloading it I entered the code , and my wife was like you remeber that from that long ago! This game is awsome. i play this and Super C more than I do the actual WII games. Like most games of the erait is just plain fun. A classic. Nothing bad to say about this game. But, I'm gonna wait for Super Punch-Out. Sorry. I will love this game forever. The music and characters are truly memorable and the gameplay itself is just so perfect. Little Mac, when will you come back? Well, I knew about him in Brawl. I mean when will he get his own new game? Classic game, despite all of its crazy racist stereotyping. The music is really great, too. Solid gameplay. Replay value could be better, but I keep coming back to it because of the good memories. Who is not in this version. But still, it's classic stuff. I think little mac should be in Super Smash Bros. Brawl, don't you? Little mac IS in SSBB. He's just an assist trophy. too bad, would have been cool as a playable character. 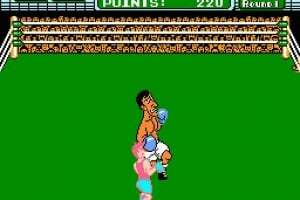 Wish nintendo would release Super Punch Out. An old classic. I played this game so much as a child, that I had everything memorized, and could not be hit. Fantastic! This game has a great amount of depth and it's tough as nails. A masterpiece if a little too hard!!! Wow. Great game, forgot how hard the timing can be at times. I am getting stuck at Bald Bull...how sad. I have my sights set on Soda Popinski, he's going down. I just bought this game last night after reading the review at the top of the page. Good shout - this game is a belter! Certainly worth the 500 points, GO FOR IT! I agree with Jon! I used to have the arcade stick with my nintendo to play this. I love this game. It keeps me busy for hours, but i can't seem to get farther than Soda Popinski. I'm gonna get this on Animal Crossing today. I just got it on Animal Crossing, four stars (should change to 5 soon). It's pretty hard (for me, at least), I can't even beat Piston (the Japanese guy, and the third guy). i dont care if they ever release Super or not because they changed the way Mac looked in that game, and for the worse. He has that retarded facial expression and they made him blond and gave him an awful Hanson brother haircut. this one was the better entry. this is a must get game. it's bad they don't have the original version. it seems like more of a feat to beat mike tyson than mr. dream. that hurt the game but 5 stars all the way. One of the best games ever. Great characters. And Mike Tyson is BADASS. WOW! i dont no wat 2 say bout this game. its way ahead of its time, this is 1 of those sports games that r so good apart of u lives in it. its 1 of those games like techmo bowl that teach u the gameplay doesnt hav 2 b so real 2 b such a fun game. This is one of only a few NES games I can keep going back to, over and over again. Fun, challenging, you've got to use your head but not so much that you get a headache, great replay value. AWESOME GAME!!!!! all i can say! Has anyone else noticed there is a slight lag if you play this game on a high def TV? I have hooked it up to a regular old tv and my new HD TV and I simply can't beat the game on the HD. 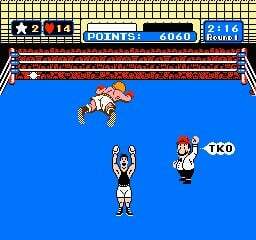 I have TKO'd Tyson (or mr dream - lame) tons of times on my NES and on the VC with an older tv. Considering timing is the only part of this game that matter it makes me kinda frustrated! "I'm gonna give you a TKO from Tokyo!" I LOVE this game! It was the first game I bought for the VC. Punch-Out!! was always one of my favorite games on the NES and it's still quite fun to play today. While I haven't invested a lot of time into it, I've still yet to beat Mr. Dream. In a way, I am happy that I wasn't just able to download it and beat in less than an hour. Super Macho Man gave me a heckuva time too. Anyhow, this is one of the best games ever -- period. The more simplistic controls make this game more accessable then most fighting games. (I could never get used to Killer Instinct, or Mortal Kombat's mutil-button combination controls. It's like having to memorize cheat codes.) And there's so many different ways you can figure out how to beat each boxer that make this game very innovative for it's day. 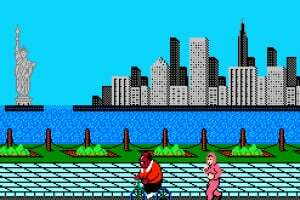 Regardless of the later boxers being hard to figure out how to beat, it's still a great game. Mario also makes a nice referee. Not "THE BEST GAME EVER" but still very good. I have a lot of memories from this one. How to beat the first Don Flamenco with an alternating Left Right Left Right uppercut. How to get a lot of extra hits and stars off of Great Tiger... This might be worth a DL. 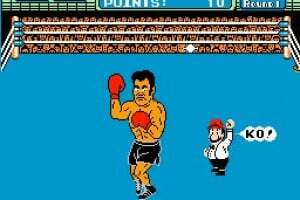 There will be a Punch Out game for the Wii! It will support the Wii Balance Board. You didn't have to like boxing to love this game. Too bad you can't have the Mike Tyson version. This game is a classic. I never did like any of the other games, though. 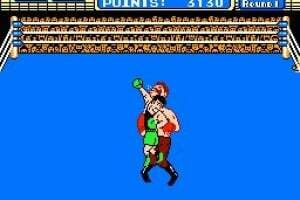 Super Punch-Out was just ugly and stupid, if you ask me. 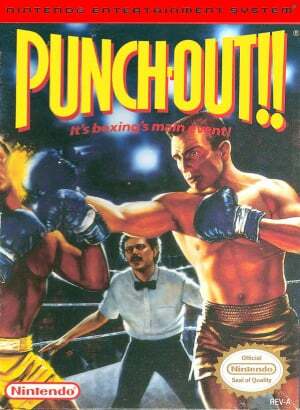 I love this game but I actually prefer Super Punch-Out!! This music in the video sounds like it should be in a Mega Man game. Why did they have to make it say "Featuring Mr. Dream"? He's a made up character! To make it different to the Mike Tyson version. 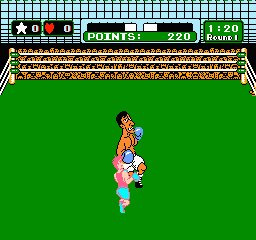 If someone just said to you they had "Punch Out" back in the day, you wouldn't know if they meant the version with Mike Tyson in it or the version with Mr. Dream in it. I am pretty sure thats the reason why. I remember Glass Joe quicklly fell. Thinking, "This ain't Mike Tyson: I can tell!" LOL at super punchout being 'harder' and thats why people dont like it as much. RIDICULOUS. both were great games. we just grew up on punch out. 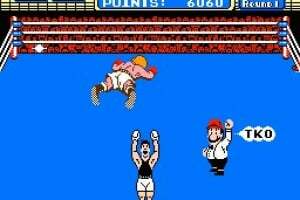 super punch out came so much later that some people missed it. most of us were in a different place in our lives. it just wasnt the same. dont get me wrong, SPO is an instant DL when we get it. but dont desecrate the original with stupid insults. 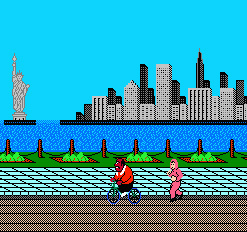 LOL still havent beaten iron mike. finally got to round two, on VC. ill get there. Random A Bearded Man is an Unlikely Ally in Punch-Out! !